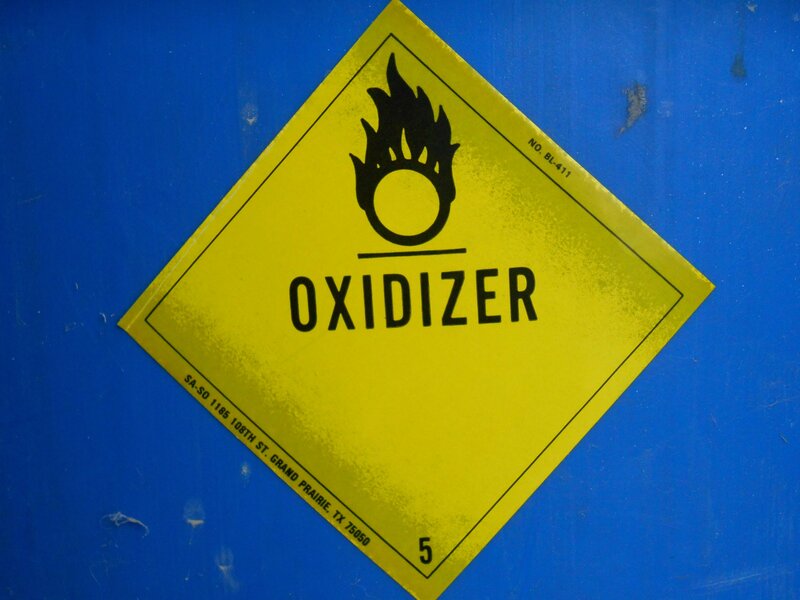 One of the hazard class label used when shipping oxidizers. Many people have seen the symbol for oxidizing agents at one time or another. 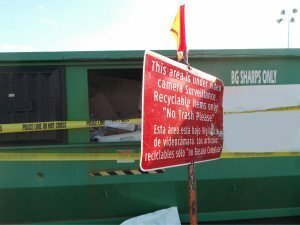 It can be found on pails of pool chlorine, bags of fertilizer, crates of hydrogen peroxide and bottles of household bleach as well as the trucks that transport them. The flaming “O” on a yellow background is easily recognizable but may not be fully understood by those who see it in passing. Anyone who handles or stores oxidizing materials should be familiar with the potential dangers in order to reduce injuries and property damage. Oxidizers pose the greatest risk during fires so it is important to first understand that a fire is a chemical reaction that cannot be sustained without three elements; heat, fuel and oxygen. The atmosphere usually contains 21% oxygen so normal environments that sustain human life can sustain a fire as well. Firefighters use foam or water spray to starve the fire by blocking oxygen from reaching the burning fuel. Inversely, an increase in the amount of available oxygen near a fire allows the chemical reaction to accelerate and the fuel material burns more intensely. From a HazMat standpoint, oxidizers are generally compounds that can release oxygen when heated or otherwise breakdown. When an oxidizer material is involved in a fire, the oxygen it releases means that the fire is no longer dependent on oxygen from the air and typical firefighting methods are less effective. Also, depending on the fuel material, the presence of an oxidizer near a fire can cause it to burn so quickly that the fuel explodes rather than burning steadily. In some cases the oxidizer material itself can also decompose explosively during a fire. These properties make oxidizers a crucial component in military and industrial explosives but there have been many instances where fires at facilities that stored oxidizing material have caused catastrophic damage and loss of life. Recent events such as the explosion in West, TX have focused the public’s attention on the dangers posed by ammonium nitrate, a common oxidizer, but over the past century this oxidizer and others have contributed to massive explosions that have injured thousands of people in industrialized countries. In the United States, the Department of Transportation usually sets the standard for what materials are considered oxidizers. 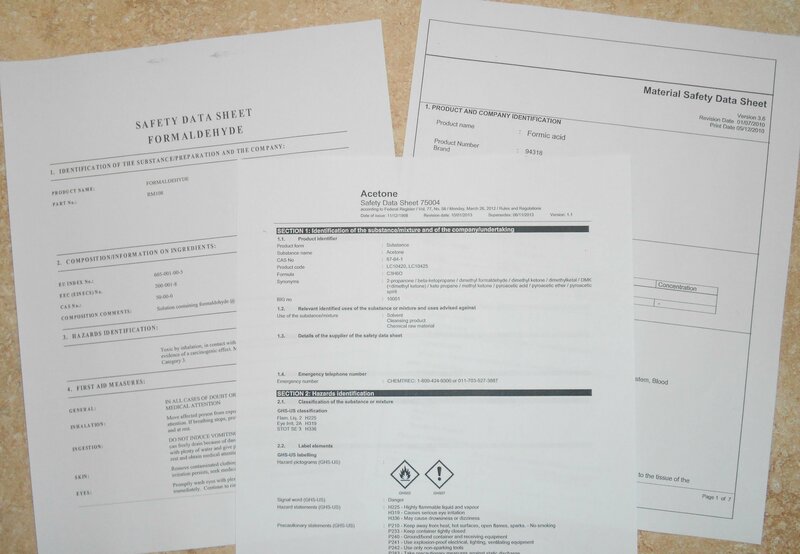 Materials that meet the DOT definition must be transported on trucks that display the hazard class 5.1 placard that consists of the yellow background with the flaming “O”. Any organization that uses oxidizers, even in small quantities, should be mindful of safe handling practices and store them away from flammable materials like solvents and fuels. 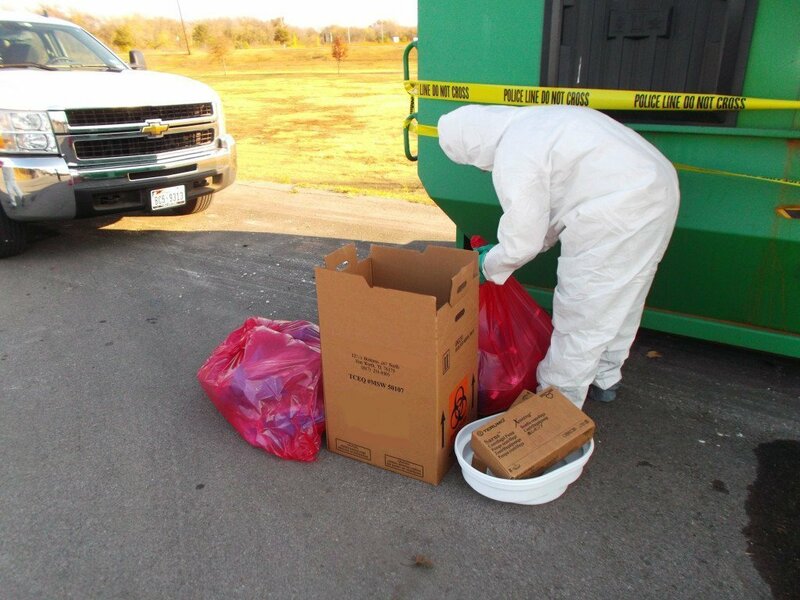 Knowledgeable HazMat emergency response professionals should be called when cleaning up and disposing of oxidizer materials and Protect Environmental’s trained personnel are up to the task. 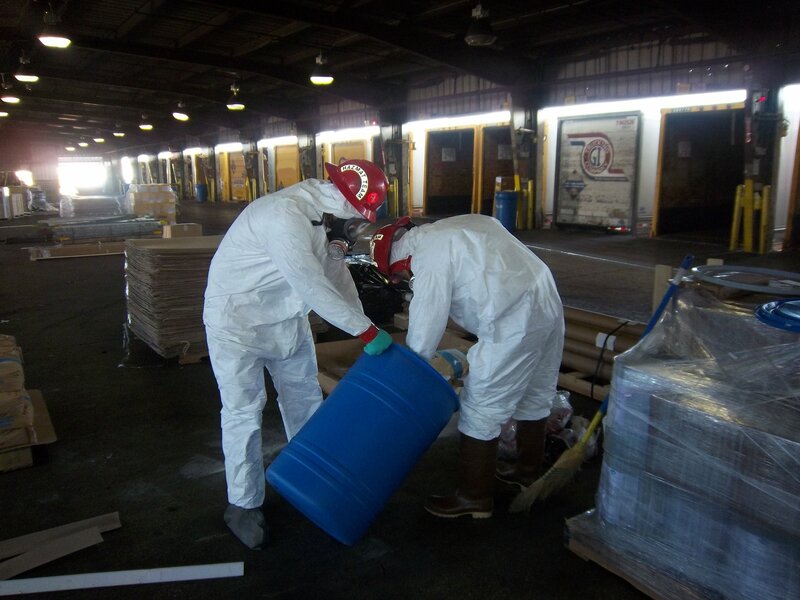 Our teams have been managing complex chemical spills on roadways and in warehouses in the Dallas/Fort Worth area for almost twenty years. Rather than waiting until you’re faced with a spill situation, call our office today and learn about how you can make Protect Environmental a part of your company’s chemical emergency response planning.